Plazma therapy with using membrane-PRF – Dental Clinic "FREEDENTS"
Method A-PRF-this application rich platelet blood plasma of the patient in the form of membranes. Using the apparatus of the PRF (Platelet Rich Fibrin) produced A membrane-PRF (fibrin and platelet-enriched high type), rich growth factors. The method is applied in surgical dentistry, Periodontology, implantology surgery, bone grafting and oral and maxillofacial surgery. when shown the use of membranes A-PRF:-severe periodontitis-at mobility of teeth-in-al’veolite in the treatment of peri-implantitis is in the hole of a remote tooth for quick healing-with dental implants to improve the survival rate of the implant-in bone grafting-sinus lift operation-operation osteosynthesis. What happens after the procedure:-reduction of mobility of teeth-elimination of halitosis-accelerate healing holes remote teeth-pain-reduces the risk of exclusion of implants-implants-prizhivljaemost’ improves accelerates restoration of bone-tissue regeneration is stimulated, etc. 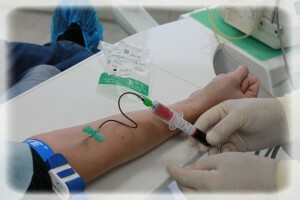 after applying plasma membranes cell growth stimulation occurs, as a result, improves blood flow, respiration and metabolic processes in tissues, stimulate the introduction of germination of new capillaries, formed by collagen and bone have been strengthened decreases the inflammatory process. How is: 1. 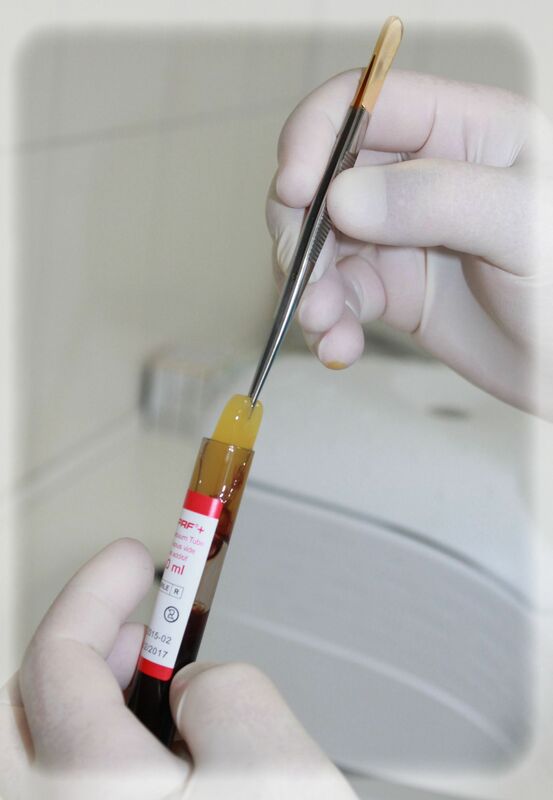 Carried out blood from the vein of a patient in special tubes, then they are immediately placed in a centrifuge and within minutes comes padded plasma from other components of blood plasma, platelet and satiety without adding any chemical ingredients. As a result, we get ready and secure from the patient’s own blood plasma rich in growth factors in the form of membranes. 2. The membrane is then entered into the appropriate sections and fabric. Recommendations on the eve of the reception: the night before the procedure, you cannot take antibiotics, alcohol, fatty and fried foods, strictly exclude stress and preferably a good night’s sleep-then we get your blood plasma of high quality.